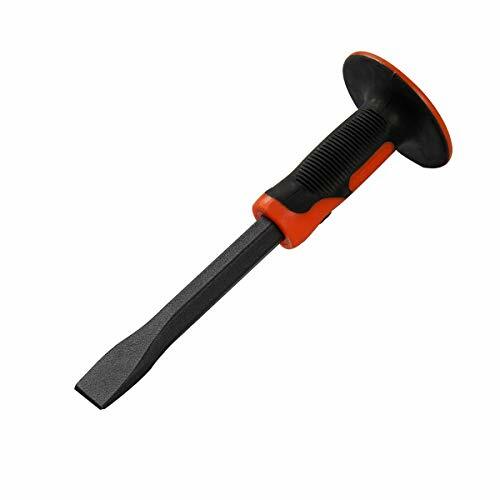 TR Industrial TR89103 Hex Shank Scraping Chisel, 3" x 12"
1. Always wear safety goggles when sharpening a cutting edge and when ever using a striking tool. 2. Rigidly support the tool being sharpened. Secure in a bench vise if possible. 3. Never use grinding to sharpen. This causes excessive heat and may result in a loss of strength, durability and temper. 4. Instead, use a file or stone of medium or fine grit and file away from the cutting edge. This directs heat away from the edge. 5. The original contour of the cutting edge or point should be restored. Flat cold chisels should be restored to a bevel angle about 70 degrees. Always strike the chisel with a light, cautious blow when starting a job to determine the relative hardness of the metal to be cut. Always wear safety goggles when using a cold chisel as well as when using all struck hand tools.. The chisel has a cutting edge at one end, and a struck face at the other to be struck with a ball-peen or machinists hammer. Never strike with a nail hammer and never strike anywhere except the struck face. Made of high carbon steel that has been heat treated. The hand protector has comfortable grip and big plate which can protect your hand from injury when you misplace hammer blows. The soft material can absorb impact of hammer blow. Has a cutting edge at one end, and a struck face at the other to be struck with a ball-peen or machinists hammer. Never strike with a nail hammer and never strike anywhere except the struck face. Champion Chisel, 1-1/8" by 6-Inch Hex Shank Asphalt Cutter. 11-Inches under the collar and a 5" wide blade. Designed for 30-40lb Class Pavement Breakers. Also known as Jack Hammers, these tools are used for moderate to heavy concrete demolition. Asphalt Cutters are made to cut through asphalt to expose the under laying concrete and can also be used for stone removal. Made from a steel alloy that is tempered to provide superior impact performance and heat resistance.. All tool measurements are "under the collar". 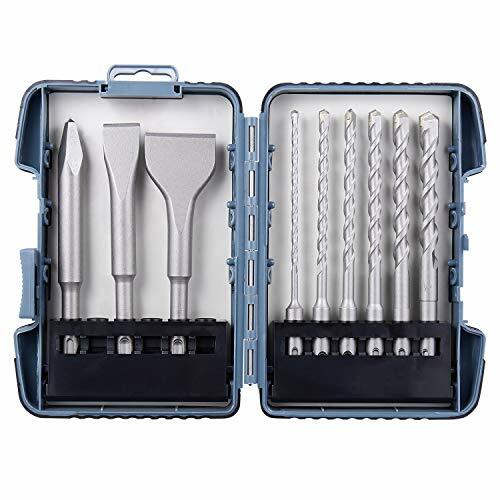 16-in long point and flat chisel set for TR Industrial jack hammer Replacement bits for electric demolition jack hammer Point and flat chisel set for breaking up concrete and more TR Industrial 2-piece replacement point and flat chisel bit for electric jack hammer. Solid steel construction for breaking up concrete, rocks and others. Shipping: USPS PRIORITY 2-3 DAYS. Blade dimensions:: Width 6", Length: 7", Thickness: 2.5 mm, Blade edge is chamfered and sharpen,The BLADE is good and fits any of the American Tools Floor Scrapers that is manufactured and distributed by our American Tools Company. The American Tools Blades, fit also the Floor scraper manufactured by Vulcan Co., Milwaukee Co. The blade is flex enough and act like a spring and to flex as much is necessary to remove the thinset and tiles. NOTE: The blades of the floor scraper will brake in the holes area if the bolts become loosed. When the bolts become loosed the back of blade is not hold by the shoulder of floor scraper shaft anymore for not going backwards. When the bolts became loosed the blade is hold by the bolts for not going backwards, instead of the floor scraper shoulder and in this case the blade will break right away cross in the blade holes area. We are advising that the bolts to be tighten right away when they are becoming loosed in order to prevent the blade to break in the holes area. If the blades are factory defective, the blades should break right away when they are used. NOTE: The rotary hammer has a weak impact force, and if the blade is too elastic, it will absorb the impact force, as a shock absorbent and it will take a very long time to remove the thin set. As a confirmation please see the feedback received from our customer: "BEST FLOOR SCRAPER BLADE EVER, THICKER, STRONGER GRIPS AND HITS BETTER." My job was finished in half the expected time. I have used several manufactures versions and this was way better than any I have used. I will be ordering more soon. Thank You, Thank you. Oh and the order showed up 4 days before I expected. So, I snuck in a that I almost gave away. I really can not thank you enough. WOW. I will be ordering from you again soon. 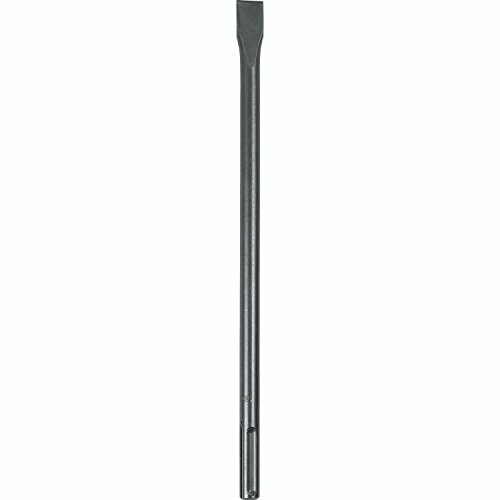 Rilea Seffner, FL 33584, billrilea@yahoo.com"
Brand: American Tools | Manufacturer: American Tools Co.
Champion Chisel, Hilti 805/905 Style Shank - 7/8-Inch Hex Steel, 19-Inch Long Moil or Bull Point. Designed for use in the following TE models - 1000-AVR, 1500-AVR, 805, 905, 905-AVR, 906-AVR. Champion Chisel Works ++++ FITS ONLY DEMOLITION HAMMERS THAT ACCEPT THE HILTI 805/905/1000 - 7/8" HEX SHANK STYLE. ++++ 19" Long 7/8" Hex shank Moil or Bull Point is perfect for concrete demolition jobs. 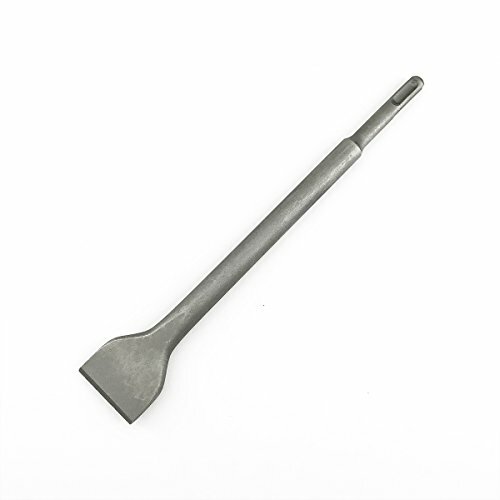 This 19" steel alloy Point is tempered to increase impact durability and heat resistance. Laser etched part numbers for easy identification and a clean finish make this tool look as good as the job it does. This point is made to fit demolition hammers that accept the Hilti Style 7/8" Hex shank bits. 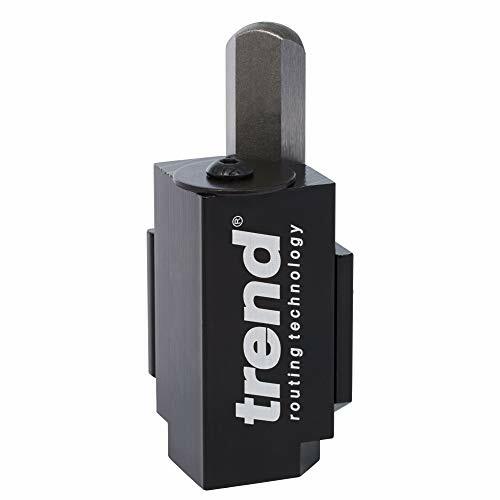 Our Hex shank does not look exactly like Hilti's shank, but it is guaranteed to fit any hammer that takes this style shank including the following TE models - 1000-AVR, 1500-AVR, 805, 905, 905-AVR, & 906-AVR.that accept the Hilti Style 7/8" Hex shank bits. 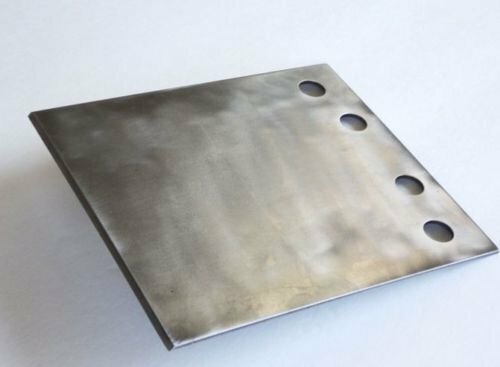 This point is made from a hardened and tempered alloy steel for toughness and durability. Fits in all SDS Plus machines. RENNSTEIG offers a full assortment of high quality SDS Plus Chisels. Each chisel comes separately packed in a nice plastic tube. Champion Chisel Works ++++ FITS ONLY DEMOLITION HAMMERS THAT ACCEPT THE SDS-PLUS SHANK STYLE. ++++ Champion Chisel's 7" SDS-PLUS 3" Wide Bent Chisel is perfect for light demolition jobs. 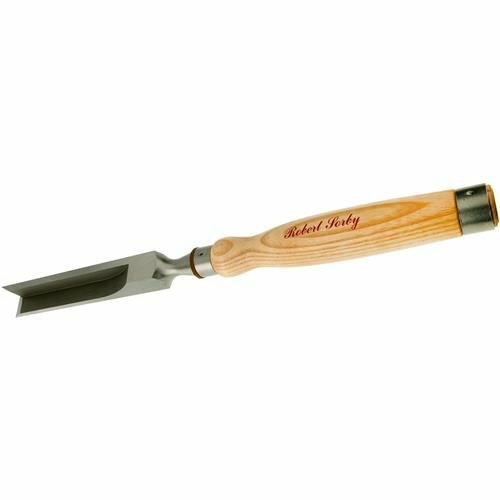 This 7" steel alloy chisel is tempered to increase impact durability and heat resistance. The 3" Bent wide chisel has a single bevel and is flat on the bottom to provide superior scraping and scaling actions. Laser etched part numbers for easy identification and a clean finish make this tool look as good as the job it does. This chisel is interchangeable with Bosch, Makita, Milwaukee, and Dewalt as well as any other SDS-PLUS Power tools on the market. Makita demolition steel is constructed of high quality steel for improved efficiency. The steel is hardened for increased durability in a variety of demolition applications. Each bit is coated to help prevent corrosion. Dasco Pro Mason Chisels are ideal for cutting or shaping brick, cement block, cinder block, or trimming excess mortar. The target head has been designed to help protect hands from missed hits and to reduce mushrooming from repeated blows. Our TargetGuard is made of a special blend of durable molded plastic that is permanently force-fit around the shaft of select striking tools and is a Dasco Pro exclusive. It features a full 360-Degree handhold for a firm, comfortable grip. Dasco Pro, Inc. offers a broad range of forged hand tools used for carpentry, masonry, and demolition. Our 89 year legacy brand incorporates time tested design, superior materials, and distinguishing technology. Construction professionals, home improvement enthusiasts and hobbyists alike ask for Dasco Pro striking tools because quality tools equal quality work. Champion Chisel Works ++++ FITS ONLY DEMOLITION HAMMERS THAT ACCEPT THE 1-1/8" HEX NOTCH SHANK STYLE. ++++ Champion Chisel's Heavy Duty Floor Scraper System was developed for use with Demolition Hammer Carts that are on the market. 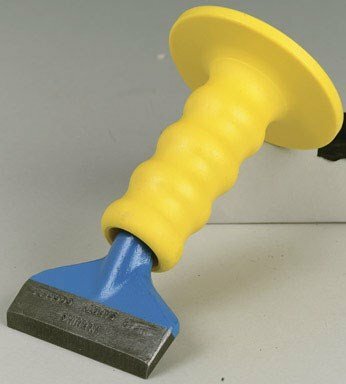 The Heavy Duty Floor Scraper is built to withstand the abuse the tools will see when used with the Hammer Carts. A strong 6" wide and 2mm thick stainless steel blend blade ensures the job gets done right the first time. Two piece system allows for proper orientation with your hammer. 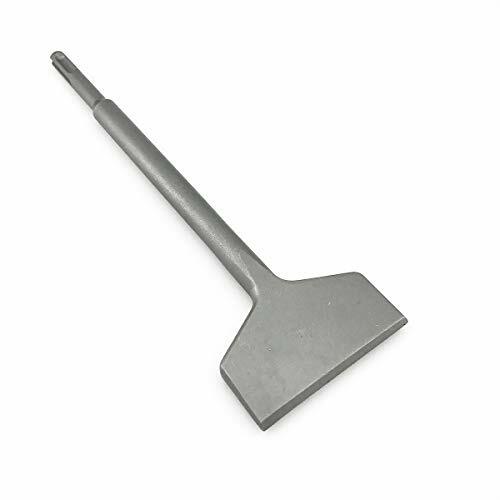 Made for the larger 1-1/8" Shank Style hammers, this floor scraper can be used as a handheld or with the hammer cart. This floor scraper system will fit 1-1/8" Hex Notch Style Hammer from Bosch, Makita, Milwaukee, and Dewalt hammers as well as any other 1-1/8" Hex Notch Power tools on the market. 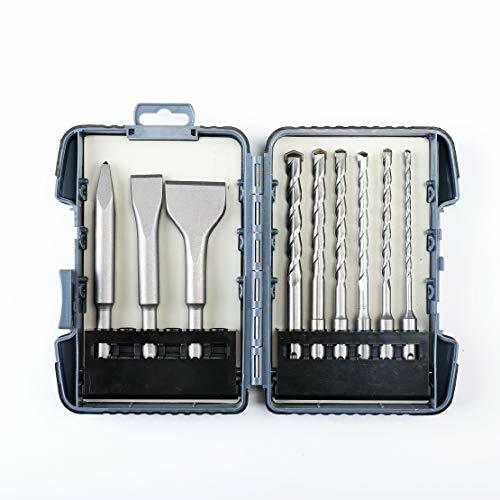 Universal SDS/SDS Plus connection design can fit for Bosch, Hilti, Milwaukee, Makita, Dewalt drills and other SDS/SDS Plus drills, etc. Fits in all SDS Max machines. 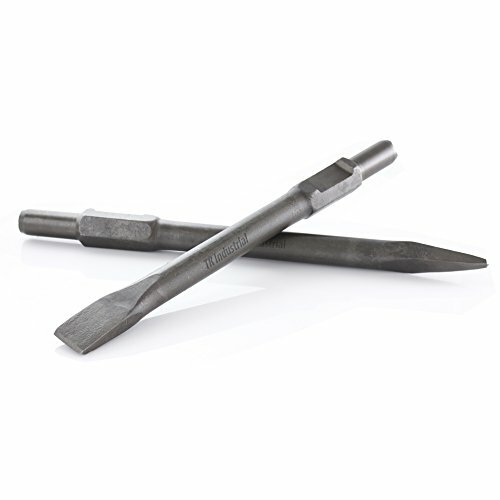 RENNSTEIG offers a full assortment of high quality SDS Max Chisels. - For removing plaster from walls and floors. - Ideal for scraping and cleaning surfaces for demolition work. - Removal of heavy rust layers. - For hard materials, for general chiselling and demolition work of masonry, concrete and loose stones. - Gives a well-directed breaking off effect. This massive 1 inch corner chisel is useful for large framing work when cleaning out corners on larger mortises. Comes with a 9-3/8 inch blade and a 9-1/8 inch Ash handle. Overall length is 18-1/2 inches. Has a traditional bolster, double steel hoops and leather shock washer. Forged from special Sheffield steel to ensure a perfect balance of toughness, edge retention and sharpness. Each chisel is diamond hardness tested before leaving the factory. Comes with a 9-3/8 inch blade and a 9-1/8 inch Ash handle. Overall length is 18-1/2 inches.